Spice’s recent skin lightening publicity stunt created quite a buzz on social media and now it spilled over into the upper echelons of government. The “Needle Eye” deejay was singled out for some special praise from Senator Kerensia Morrison during her opening address in the Senate’s annual “State of the Nation Debate” on Friday. “I am proud to applaud Grace Hamilton, known to the (music) industry as Spice, on her amazing achievement. One million views in 24 hours, number one on the US and UK Reggae iTunes chart with the song, “Black Hypocrisy” that is shaking the ground in entertainment,” she told the Senate. “I use this platform to commend Spice: Spice indicator, you have indicated to our youths that they should love the skin that they are in and embrace who they are. You have chosen a potent and effective way to bring a timely message across. Self-esteem, especially among our youths, is indeed a serious issue that we must address,” Morrison added. 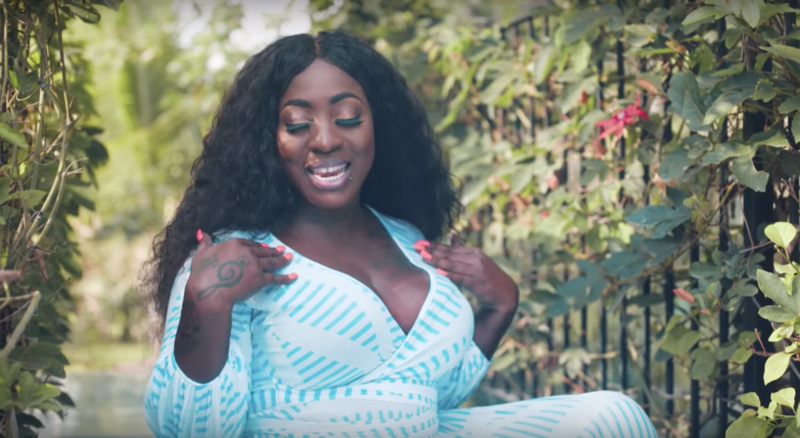 Spice recently created an uproar on social media after she uploaded several photos sporting a significantly lighter skin tone, a move Dancehall insiders say was just a promotional stunt to bring attention to her controversial single. The track is featured on the deejay’s new mixtape “Captured,” which was released on November 2.